Disc golf (also known as frisbee golf or "frolf") is a disc game in which individual players throw a flying disc into a basket or at a target. According to the Professional Disc Golf Association, "The object of the game is to traverse a course from beginning to end in the fewest number of throws of the disc." Disc golf is inexpensive and is physically accessible for all ages and athletic ranges and therefore attracts a diverse range of players. 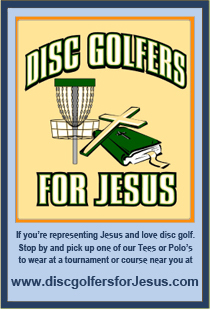 A great majority of established disc golf courses are free.